Before Josh Niland opened casual fine-diner Saint Peter in Sydney’s Paddington in 2016, no chef in Australia had put John Dory liver in an English muffin; or turned fish eyes into crackers; or made “prosciutto” out of albacore. The chef’s “fin-to-scale” approach to seafood has put him at the front of the foodservice pack, and with the opening of his Fish Butchery shop last year, which sells fish offal and fresh and dry-aged seafood to the public, this philosophy is something he hopes will catch on. In the last two-and-a-bit years Niland has been awarded Gourmet Traveller Awards’ Chef of the Year 2018, GQ Chef of the Year 2018, Delicious Top 100’s Critic’s Top Restaurant of the Year 2018, and Australian Financial Review’s Chef of the Year and no. 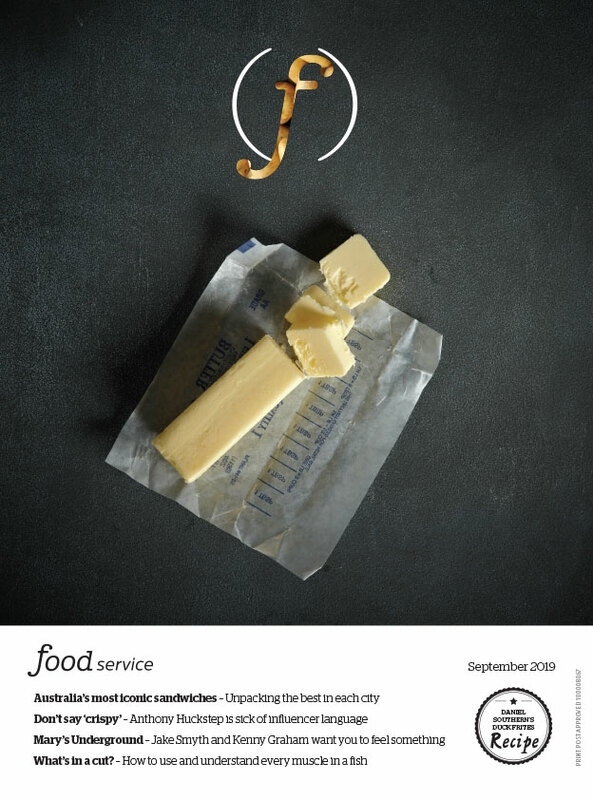 3 restaurant in Australia (2018), as well as two Hats in the Good Food Guide. Now he has written his first book, entitled The Whole Fish Cookbook. The book shows readers how to break down whole fish, without throwing away any part of it. “Fish has always been seen as a fairly one-dimensional ingredient offering little to a western palette beyond skinless and boneless fillets,” says Niland. The book’s 60 recipes, ranging from simple to complex, will put every cut and off-cut of fish on a pedestal, showcasing all the mad and delicious cooking techniques that can be applied to them. The book, published by Hardie Grant, will retail for $60 and will be released on September 1.